Have shelter, will travel. I was fortunate enough to visit with Mr Zzzzzz again recently for a game with himself and the good Drax. we had a lovely dense table, and each took a 525 pt force., Drax used my Orks, I took some of Mr Zzzzzz’s Eldar for nostalgia (Eldar were one of my first armies back in RT/2nd ed) and our Host used the beautifully modelled and painted Krieg. Embracing the sneaky way of the Eldar, I deployed on the commander (a corsair prince) and his bodyguard with everything else in reserve, hoping the greenskins and Mon-Keigh would wipe each other out and I could mop up the survivors. Suffice to say the Guard di what they do best, which is die in lumps, valiantly, the Eldar failed to impress in close combat though shooting secured me a close second, and the orks did what orks do, walk toward the enemy firing wildly then chop em to bits in CC.. Drax carried the day on a green tide. What follows are remembrancer documents of the day.. Sadly the Ork are already close by.. But the Green tide rises. Under the watchful eye of their heavy support. but its all in vain as the building is swarmed by Ork. Meanwhile other Ork forces make the Harlequins fold like a chap lacy suit with a frilly collar., one Corsair squad takes care of a Krieg infantry unit before the cavalry chop them to bits, and the final Suad survives the game just by shooting at Ork taking out one squad before succumbing to a mob of Nobs. My erstwhile opponents, supported by Tea. We proceeded then to spend the remainder of the day rifling through the amply supplied garage of Mr Zzzzzz for neglected and forgotten models in order to make some progress on his to do list. As it happens he has two of these, so I find myself facing another few hours assembling the other, for which I shall try to do a build guide as it isn't straight forward, and the “instructions” barely deserve the name. It looks like it was a day full of all the best parts of your hobby. Brilliant stuff guys! What a fabulous day! I love the table in the garden - just amazing! 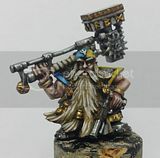 Lovely painted armies with great photos. Fantastic! What type of shelter is that? It's made by Coleman (they of the camping gas stove and lamp fame) and they call it an "event shelter", this one is 15' square, they also do one that's 12 feet per side. Wonderful! Thanks so much! I found it on amazon thanks to your help! I was super impressed by it, Greg. If ever you're in need of something to shelter an event, this really is a good choice...leaks notwithtanding. Mostly though, I liked its name. It is an excellent shelter ! 12 minutes to put up, 15 to take down, quick drying, stable, light & airy. Can be a little like being inside a drum when it rains, but that beats getting wet. No idea where he got it, though. Thanks chaps, and yes it gets noisy under there :) I must say the corsairs are an interesting take on eldar, and they were lovely models, well painted too. Hey have you done an overview of your ork army? I don't think I have seen it as a whole. You know, the Orks are probably my oldest army that i still have, they aren't a high points value, and no, I don't think the "core" force (mob of boyz, mob of shoota boys, nobs, deffkoptas, bikers, buggies and boss) have made it onto this blog, just the few additions Ive made over the years I've been blogging. They are the "I'll get to those when I'm done with these" army.. and I've kept them as its always useful to have some "baddies" in a drawer somewhere to help lure new players into the mire of wargaming. maybe in the fdim and distant future when my guard are all painted ( not that far off if i can manage to stop buying units) and my wolves are all painted (huge crack pile, some of which has been invalidated by the new codex but looking at the new stuff.. safe from additions except maybe a dread..) then I'll turn back to the orks.. that's the plan anyway. How awesome, gaming on such an awesome board, under a very cool cover, and then getting to build all that coolness, I'm extremely jealous. "a tricky kit if truth be told" - 'sfunny: I'm sure at the time that you phrased this sentiment in a far more colourful way! I love the pics of the waffenritters (waffenritteren? )!